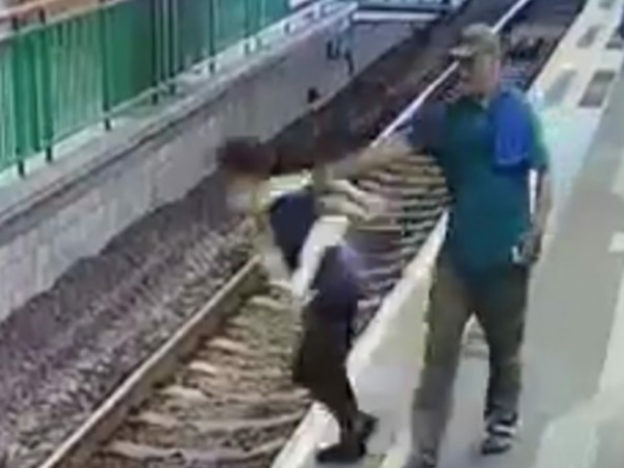 Horrifying surveillance footage has emerged showing a man shoving a woman onto some railway tracks at a station in Hong Kong. 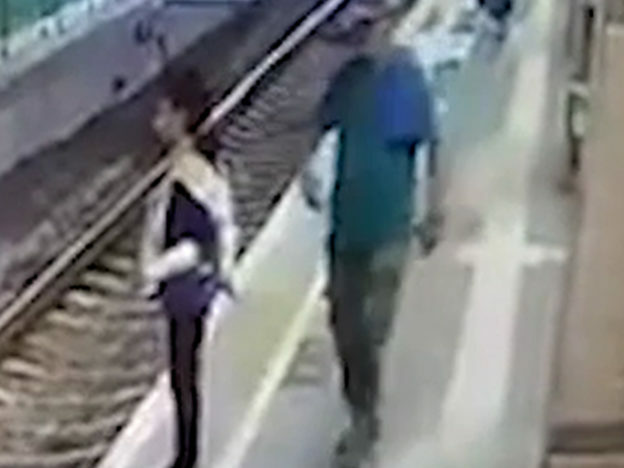 A man wearing a bright blue t-shirt, brown trousers and a beige peaked cap can be seen walking over to the woman, unsuspectingly, as she waves to a friend on the other side of the tracks. In a sudden and shocking movement, he pushes her and she tumbles perilously onto the tracks, as she stood at platform number five 5 at around 10:30am. In a chillingly casual move, he appears to be completely unbothered by what he’s just done, walking past the disbelieving woman as if nothing had happened. The incident, which took place at Yuen Long station in Hong Kong, has now gone viral after being posted on social media. The 59-year-old woman suffered an injured jaw as a result of the attack and is now being treated in hospital, however, things could have been much worse. 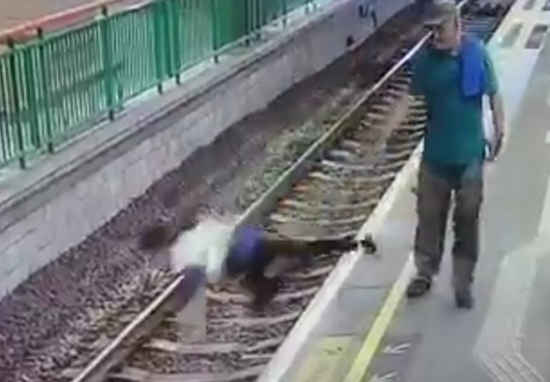 Thankfully, a train was not approaching at the particular time and the woman – who is believed to be employed as a cleaner at the station – managed to escape with her life. A 56-year-old man has reportedly been arrested in connection with the attack. According to the South China Morning Post, the suspect holds a Hong Kong identity card. The spokesperson also stated the suspect has been arrested close to the station, on suspicion of assault occasioning actual bodily harm. A motive for the seemingly random attack has yet to be established.